Over the last few years my two favorite mass keyword texting apps have either shutdown (TXTblaster) or are no longer free (Textmarks). As a result I have been looking for new FREE resources that would allow people to "opt in" and subscribe to my mass text alerts (without me having to type in everyone's phone number). I have finally found two that I really LOVE. The first is called Cel.ly. The second is called Pulse.to. I will describe both below. service that says they are interested in schools using their free service! You can get started by texting "start" to 23559. Cel.ly will then ask you for a login and password. You can then go to the website Cel.ly, login and set up text message channels. Each channel is set up with a keyword so that students, teachers, community members, and parents can join your mass text message with a keyword from their cell phone! There does not seem to be a limit on the number of people that can join your mass alert. Cel.ly also gives you three choices in how you want to set up the mass text alerts. You can have all members send messages back and forth to the whole group. You can have only the teacher (owner of the channel) send messages to the group. You can have the group members send messages back to the teacher only! In addition your texting channel can be public or private! All messages are archived in Cel.ly! 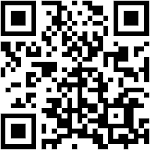 You can send messages via the Cel.ly website or via phone. It works quickly and easily! Pulse.to is similar to Cel.ly. You can login to the website, create a free account and then you start to set up pulses. You can have a public or private mass texting channel (called "pulses"). In addition, you can select if only the pulse owner can send messages or if everyone in the group can send messages. Pulse.to works in many different countries besides the US and Canada! 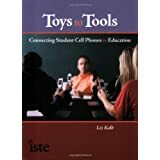 In addition there is not a short code to join, rather students/teachers/parents can text in to a real phone number (so phones that don't work with short codes or keywords will still work with this service!). For example to join my Pulse you text JOIN KOLBY to 704-323-7775. Thank you, Liz! I just went to sign up for tXtblaster last night, to find out it had shut down, and Textmarks doesn't seem to be playing nice with my phone. Your timing is impeccable. The Upstate Technology Conference in SC is using this for the next conference and I'm hoping to use it with my students next year. Is there an advantage of these services for mass broadcasts over Twitter? Since anyone can follow an account over SMS without a Twitter account, you can use Twitter to send messages to everyone, whether through SMS or Twitter clients. Now this is only one way, but group SMS tends to get messy pretty fast. I used Groupme a couple of weeks ago, and with 15 people in a group it become very unwieldy. You can use Twitter, but there are some pitfalls. One big advantage over Twitter is that you do not have to have an account to be part of the mass message. You also do not need mobile Internet to sign up. In lower-income areas that is a huge plus. Another problem that I have found with using Twitter is that the mass message part only allows me to follow people who reply to me or direct message me...not every message in a feed (this is with my feature phone, not SmartPhone). Thanks Eliterate Librarian---I will have to take a look! Thank you great timing. When text blaster shut down I was very disappointed. My kids missed asking me about homework assignments or classwork. I started using Edmodo with the texting notification setting but they can't reply back, which was very frustrating. Which one would you prefer with using with students? Love your website- PS My school is on a two week trial cell phone policy. Thanks so much Liz for your post about Celly! For broad perspective: what we at Celly (I'm cofounder) see happening is that social networking is evolving, viz., specializing. For example, people are recognizing the needs for (1) privacy and (2) moderation as important facets of group communication. 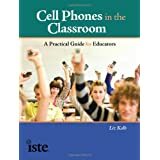 We are discovering that in classrooms, educators and students often cannot exchange phone numbers because of privacy policies, yet they have a pressing need for quick and simple, equal access methods of group communication (where every student does not need to own a smartphone or iPad or laptop). An important differentiator with Celly is that members can securely join and participate in a channel (our word for groups) without having to exchange phone numbers: new members can join a Celly channel by name, by simply texting the channel's identifier. 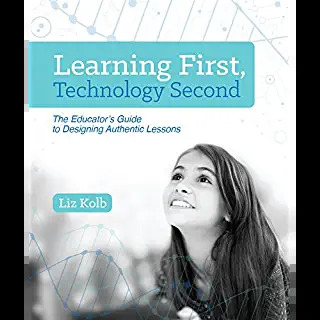 Regarding (2) moderation, educators require fine-grained management of group dynamics to insure messages are filtered for appropriateness and to enable particular messages to be picked out and then selectively broadcast to a wider group (e.g., in question & answer scenarios). Moderation prevents spamming of large groups with swarms of chat messages and enables the channel moderator to guard against abuse, e.g., cyberbullying. Moderators can control how and who joins a channel (e.g., a moderator can decline a new user who picks an offensive user name or a moderator can KICK an offensive member), who can chat on the channel (e.g. everybody, just moderators, etc. ), and when the channel is active (e.g., only during classroom hours or during a daily time window). Facebook and Twitter aren't designed for fine-grained, flexible privacy and moderation requirements found in dynamic social networking scenarios like the classroom. As first generation social networks, they follow the design path of "public unmoderated static" vs. "private moderated dynamic", the latter being the path Celly is trying to pave. Ultimately, we're trying to build Celly from scratch--guided by input from school and community members and informed by lessons of the past--to provide a way to easily and quickly communicate as a group in class as well as extend the learning day beyond school walls, e.g.,for homework study groups and athletic teams. Look for a service update this coming week from Celly that includes more privacy and moderation capabilities as well as improved website information. Thanks again! @Liz, Twitter changed it several months ago that you don't need an account to follow others on Twitter. For example, anyone can text "follow mr_rcollins" to 40404 start getting my updates. Now this doesn't work for group messaging, such as using a service like GroupMe or Beluga, where you need two way communication. I agree with @Russell (from Cel.ly) that FB or Twitter doesn't offer the security required for schools. Cool! I did not know that about Twitter! Thanks for sharing. A lot of teachers could benefit from knowing that. Liz, thank you for the write-up on these services. I am a co-founder at Pulse.to and we appreciate your kind words. I think Russell from Cel.ly summarized well the important distinctions between a Twitter style messaging service and services such as Pulse.to and Cel.ly. Educators clearly have unique privacy requirements and have to ensure that their groups are closed to only those members that need to be in the group. Moreover, they will typically need multiple groups. For example, a teacher who teaches 3 different chemistry classes would likely need one Pulse (group) for each of those classes. There are clearly security implications too, especially when dealing with children, so the ability to support closed groups is a must. 3. Teachers felt that students were better prepared for tests/quizzes and this was reflected in the grades (eg "Remember the Chem quiz tomorrow covering last weeks material"). We would love to hear any input/suggestions that you have, and certainly enjoy to hear from prospective users to understand what features they would like to see added. Thanks for info.Its will be really helpful. Wow, what a new technique really amazing thanks for getting us update about it. Thanks a ton for the info!! 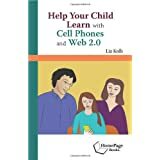 I'm interested in using cell phones for English vocabulary teaching and had been looking for a way to send sms to students with new vocabulary words. Pulse.to will be perfect for this, I'm in the Dom. Rep. and just tried it, it works great! Thanks for the post guys. We have been doing research at our school on sites like this,but mybprincipal was very skeptical because he wanted to be able to monitor outgoing messages fro me teacher. We are using a free trial for a new site www.followmyteacher.com. This site is awesome and my principal supports it because he can monitor all text. You guys should check this site out! Cool! I did not know that about Twitter! I am impressed with your article, you did a great job. Your fundamentals on this subject are presenting to learn more and more. Everytime you share knowledge with we visitors, which is indeed helping us and teaching many things. It’s very interesting post, I was flabbergasted by your views. Your writings are always worthy and focus is always precise. I have already forwarded the link to my friends, hope they would like it.